Posted: Friday, August 19, 2016. 3:02 pm CST. 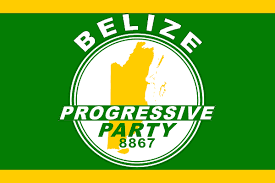 By Aaron Humes: The Belize Progressive Party is approaching its first anniversary of formation; but as with any political party there is internal turmoil. In this case, at least one member may face internal discipline up to possible expulsion as a result of alleged misrepresentation of a meeting held with a prominent local personality. The party’s political leader, Patrick Rogers, said the issue stems from a meeting with Ernesto Vasquez, LOVE FM media personality who he says was being paid by the Prime Minister’s office to sample opinions on taking the Belize-Guatemala claim to the ICJ. Rogers and the BPP have been firmly against going to the ICJ. According to Rogers he was accompanied by party chairman Paco Smith and had previously asked a non-party member to tag along. The discussion, he said, was strictly about the ICJ issue and there was no money discussed. Nonetheless, a BPP member has suggested on social media that Rogers took $500,000 to “shut up”, a charge he strongly denies. Rogers added that he has been busy personally rebuilding and converting the property at Vernon and Partridge Street into the party’s secretariat, which should be ready by the first week in September. The party is going through its internal disciplinary process in regard to the member who raised the allegation on social media and Rogers promised a further report on that in a future meeting. In other party news, the B.P.P. has formed a youth arm, the Belize Progressive Youth Initiative, to be launched shortly, and is participating under the Belize Territorial Volunteers’ name in the upcoming Eco-Sarstoon Challenge.